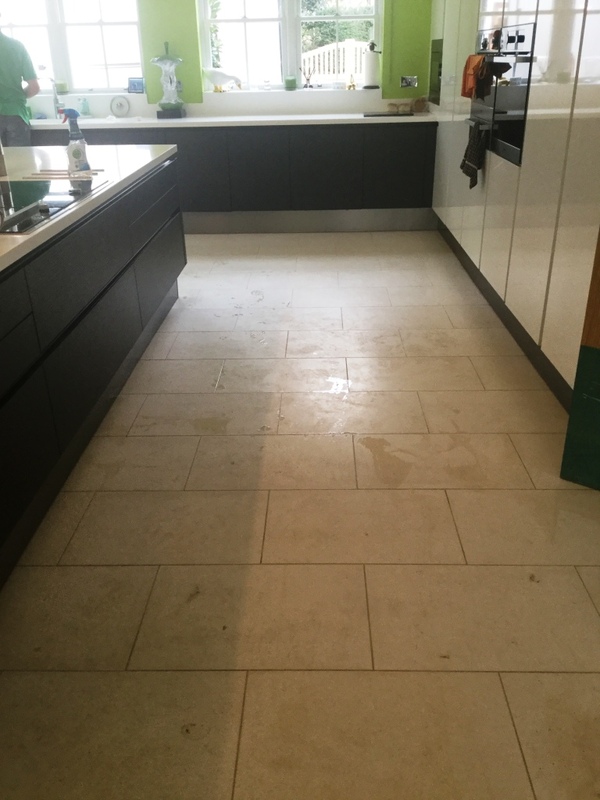 This was a Limestone tiled floor that had seen better days, unfortunately the customer had not been given the right advice and had been cleaning the floor with a popular supermarket floor cleaning product which being slightly acidic had over time stripped all of the sealer off the tile. 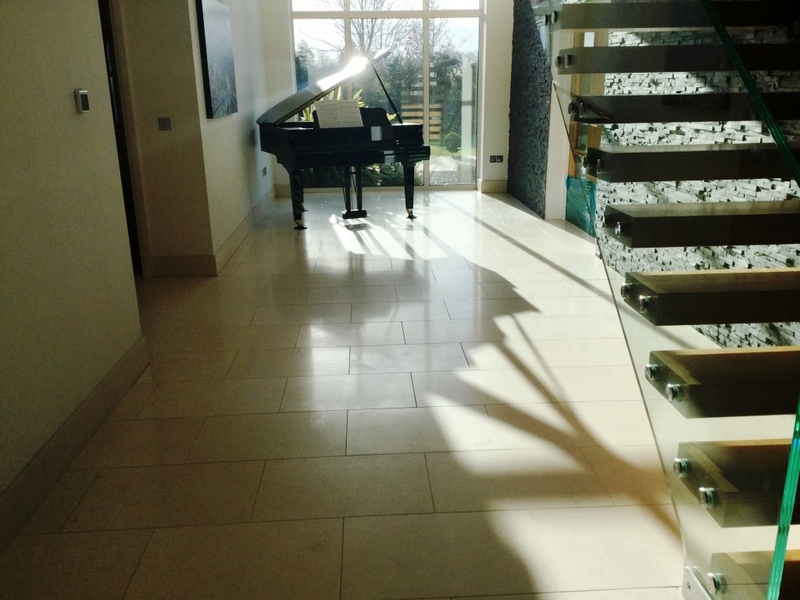 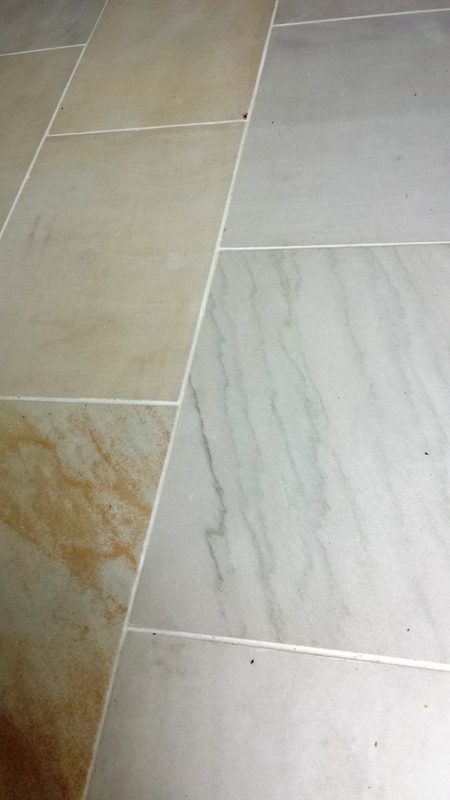 With no sealer present dirt and grime had become ingrained into the pores of the tile making it impossible to clean. 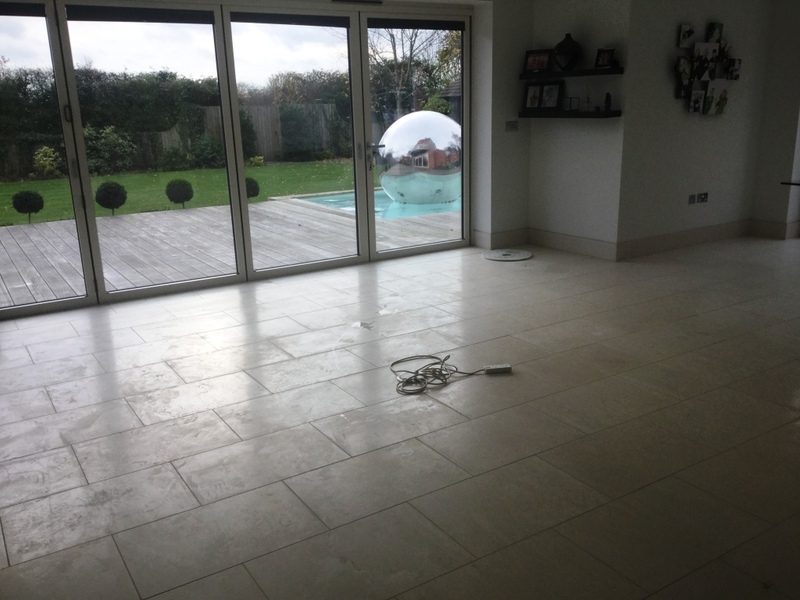 To deep clean the floor I decided to use a medium dilution of Tile Doctor Pro-Clean which was left to soak into the tile for around thirty minutes before working it in with a rotary machine fitted with a black scrubbing pad. 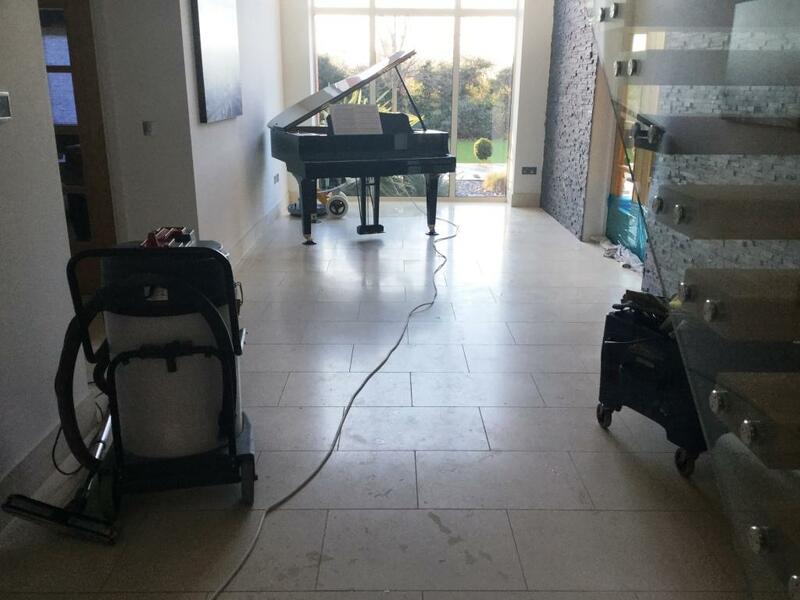 We let the solution dwell a bit longer whilst we setup the Rotavac machine which is a brilliant piece of kit that directs fresh warm water under pressure onto the tile whilst simultaneously removing the soiled solution with a secondary vacuum back to a storage unit on the van. 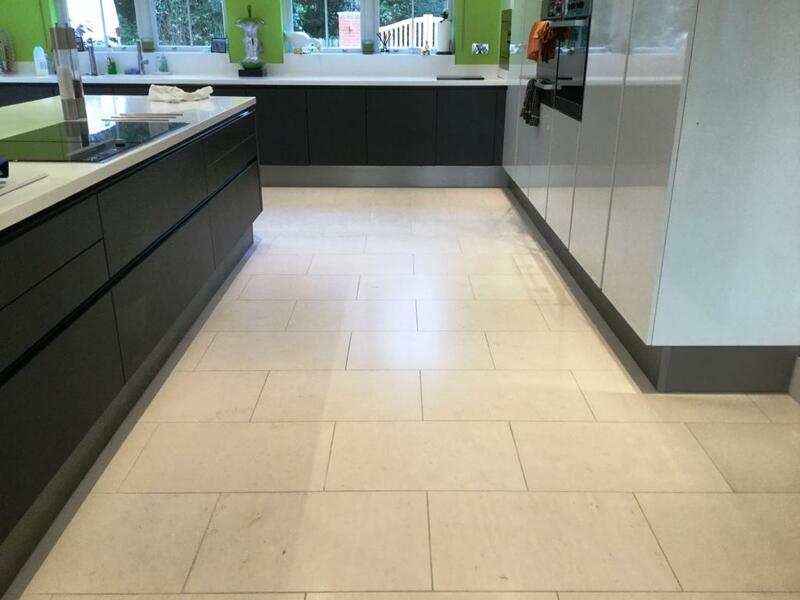 The combination worked well and the floor was soon looking a lot cleaner, there were some areas that needed further attention including the grout which we hand scrubbed along the grout lines. 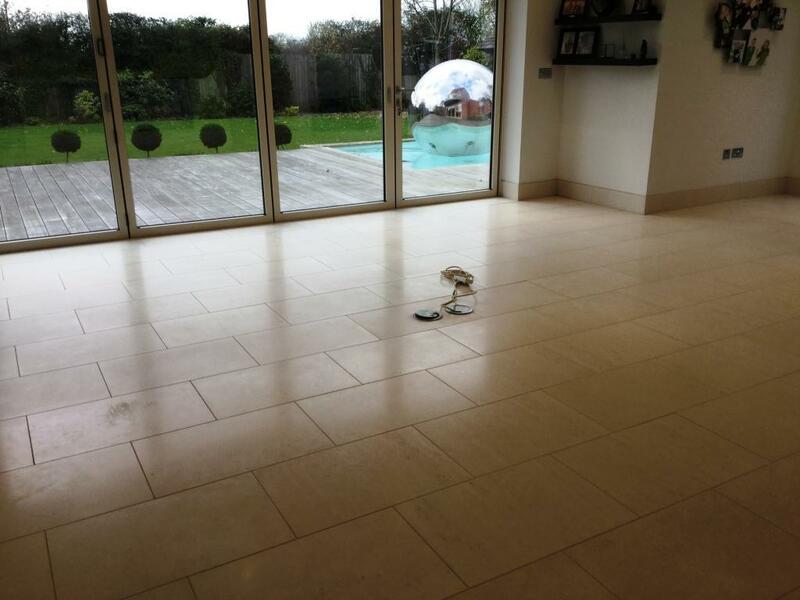 Once happy that the tile and grout was clean the floor was then left to dry. 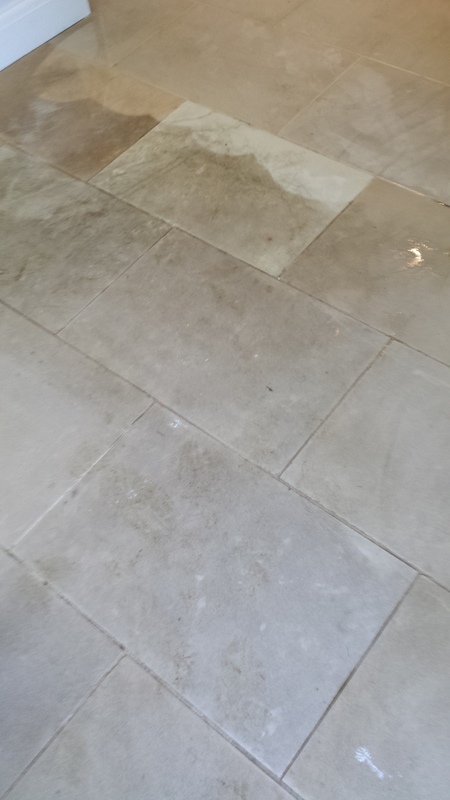 The final result was amazing and the customer was very happy also to make sure we didn’t get called back too soon I gave them advice on how to clean the floor in the future using Tile Doctor Neutral Clean which is a PH neutral cleaner that is safe to use on Tile, Grout and Stone.